Skip Moss is a landscape and adventure travel photographer. His photographs will take you from the California Coast to the Sierra Nevada Mountains and to more distant places, captured portraits of the place or person, from large landscapes to the fine details of common things. 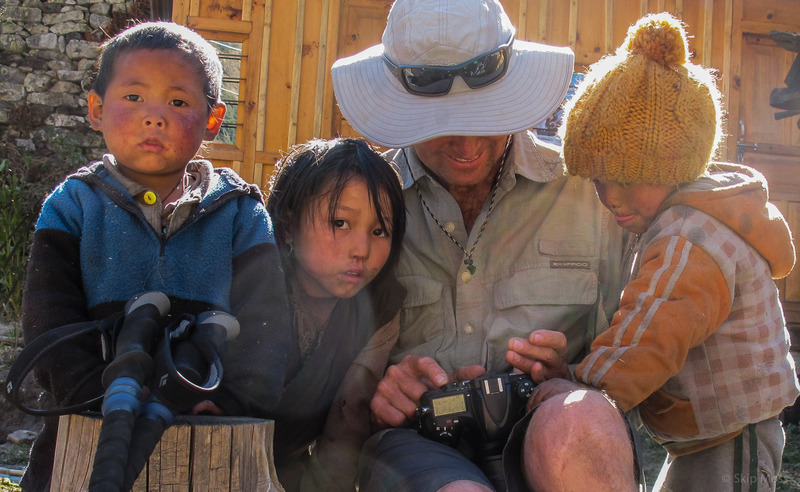 Remote travels have provided him the opportunity to record exotic lands and cultures and share the journey with you. Born in Sao Paulo, Brazil, educated in the midlands of England and Los Angeles, California, he first formally studied photography at Santa Monica College in the 1970’s. In 1980 while traveling for four months photographing Spring in the Rocky Mountains and West Coast of the U.S. and Canada he was witness to the Mount St. Helens volcanic eruption on May 18th. Hooked by the immensity and power of our ecosystems he wanted to share his experiences. He moved to the Central Coast of California in 1981 and continued design and photographic studies, graduating from Cal Poly, San Luis Obispo. He settled in the small town of Cambria on the edge of the Pacific, designed and built his home, and has been “stuck” there ever since.